"Skirting the Rules" Linkup: Midi Skirts and Mixing Patterns for Fall. Good Morning Everyone! How is your week going so far?! If you remember from 2 months ago, I started the "Skirting the Rules" Linkup which is a skirt-only collaboration+linkup with my friend ELSIE from Polished Whimsy, a fellow skirt-wearer and skirt-lover. 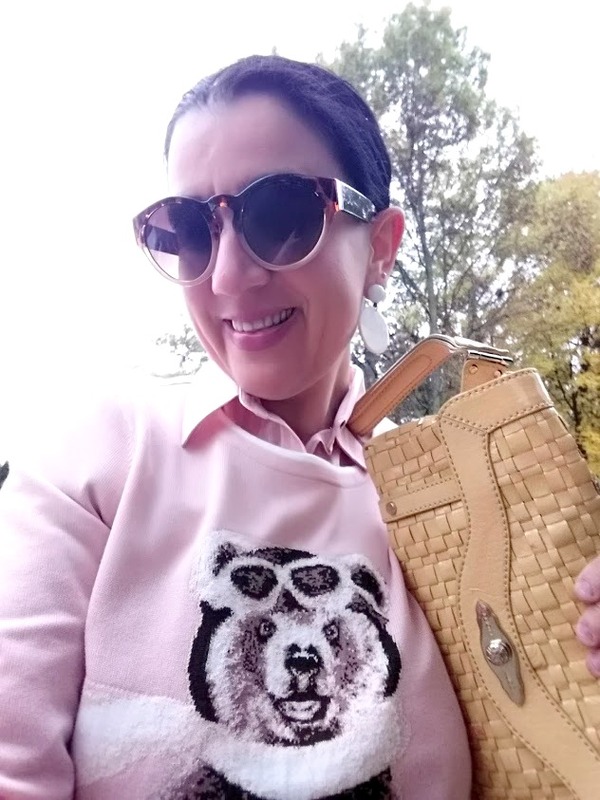 Due to both of our schedules, we skipped the linkup last month, but we are both in the grind of things with a little normalcy in both of our schedules so we are back with October's Skirting the Rules. 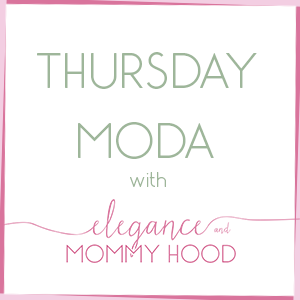 Our linkup goes live early morning of the last Tuesday of each month and will be live for an entire month. We encourage you to wear and link up your skirts with us, however any and all outfits are welcome. 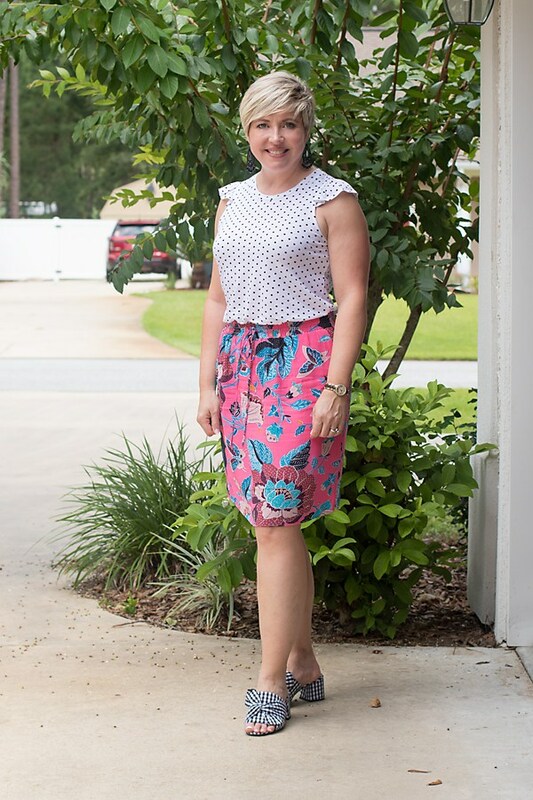 Each month Elsie and I will chose ONE FAVORITE SKIRT OUTFIT from the previous month's linkup, too. 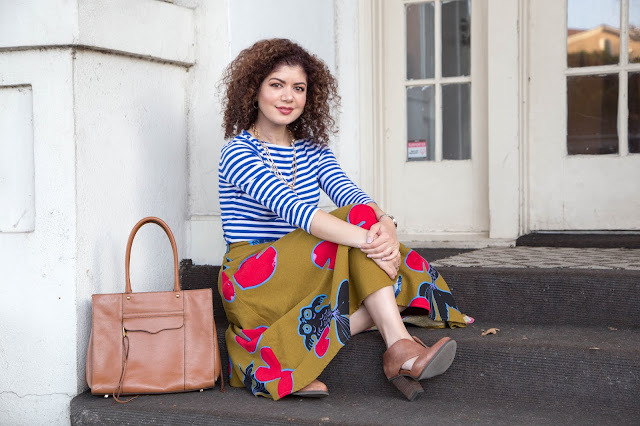 This month of October we have a 'theme' going as we are both showing you how to style a Patterned Midi Skirt for Fall, mixing it with one or more patterns. 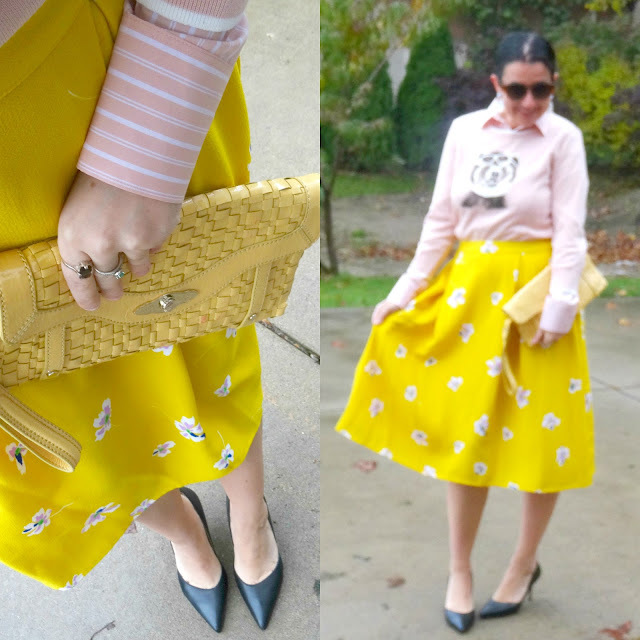 And not only do we have two gorgeous skirts for you today but I think we both did a great job styling them, too. What do you think?! 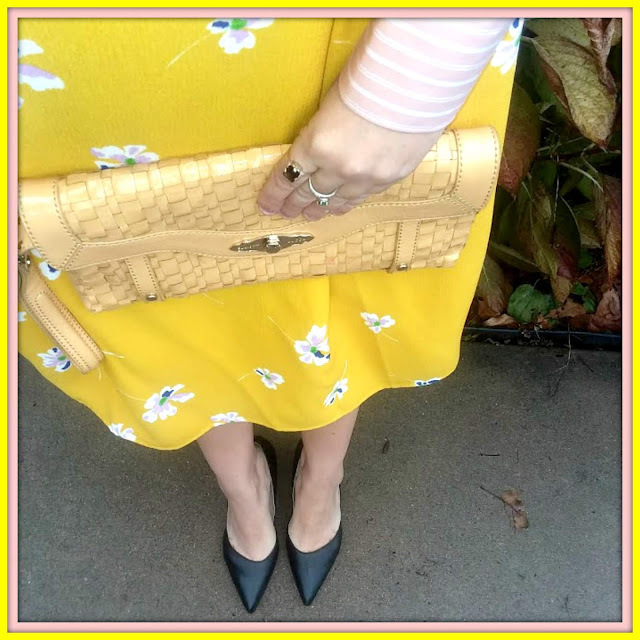 PATTERN MIXING WITH THE WHO WHAT WEAR BIRDCAGE MUSTARD FLORAL MIDI SKIRT. 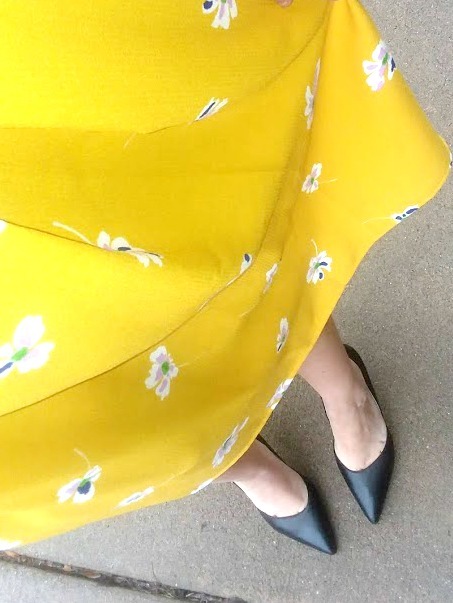 The skirt I chose to wear and style today is this Birdcage A-Line Midi Skirt from my favorite brand at Target - Who What Wear, a skirt purchased a couple of months ago. 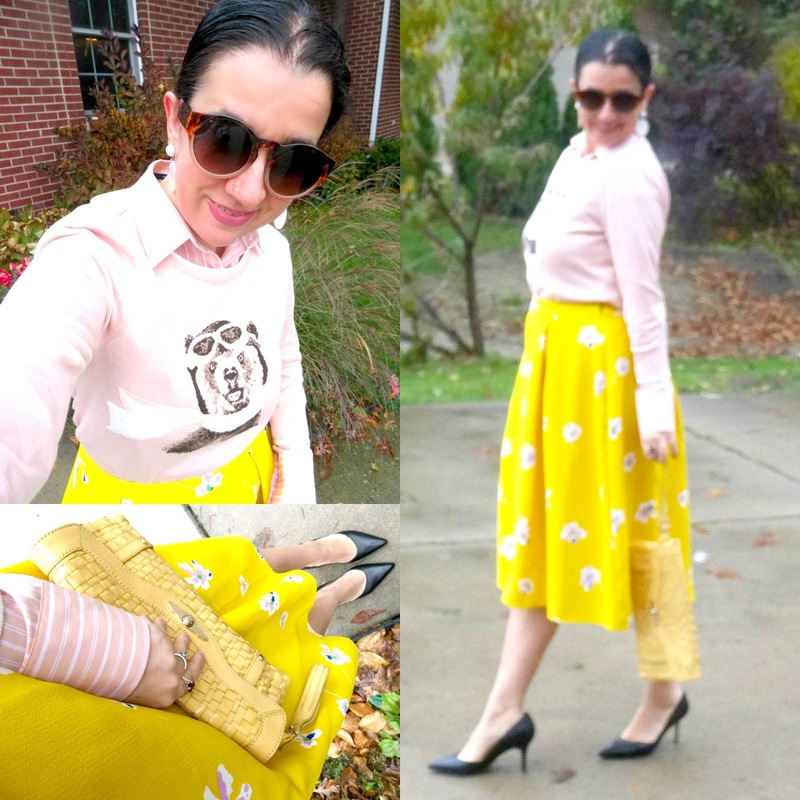 I just love the vibrant yellow mustard of this skirt and the subtle little daisy print. Also the material is thick and sturdy, perfect for this season. 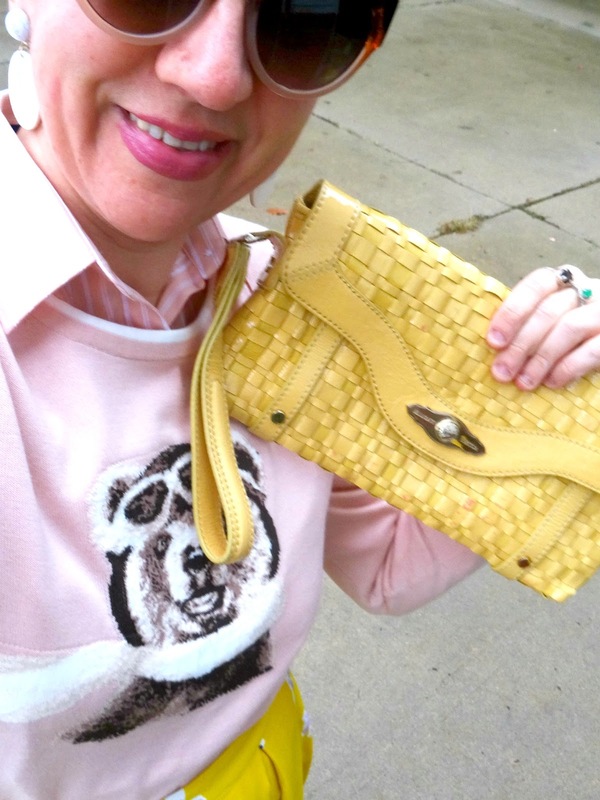 Previously I have worn+loved pairing mustard with millennial pink so I did it again. 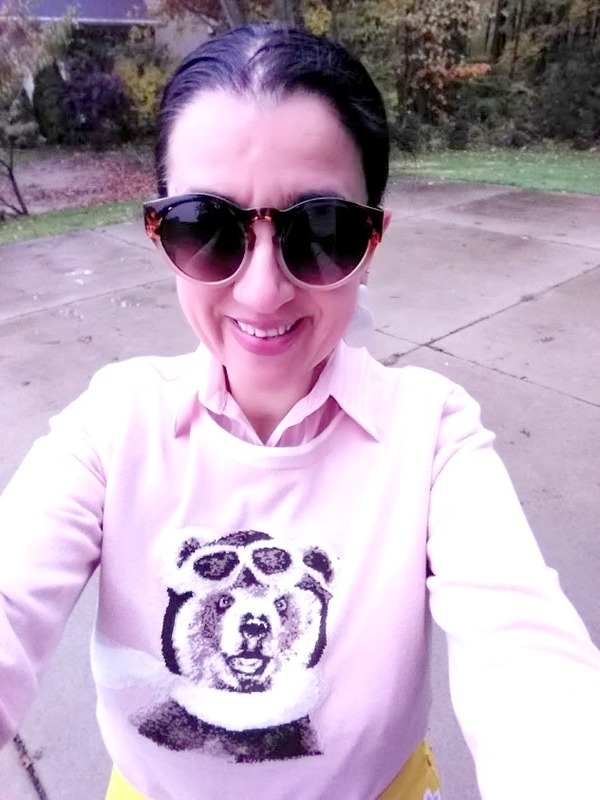 I layered a Pinstriped Millennial Pink Button-Down Poplin Shirt with a Matching Statement Sweater on top. Isn't that scarfed dog adorable?! Both the sweater and collared shirt are new and currently at Land's End. You can always count on colorful, preppy, classic and polished styles from Land's End. I also wore my New Marc Fisher Black Leather Pumps and carried a matching Designer (Elliot Lucca) Woven Clutch. 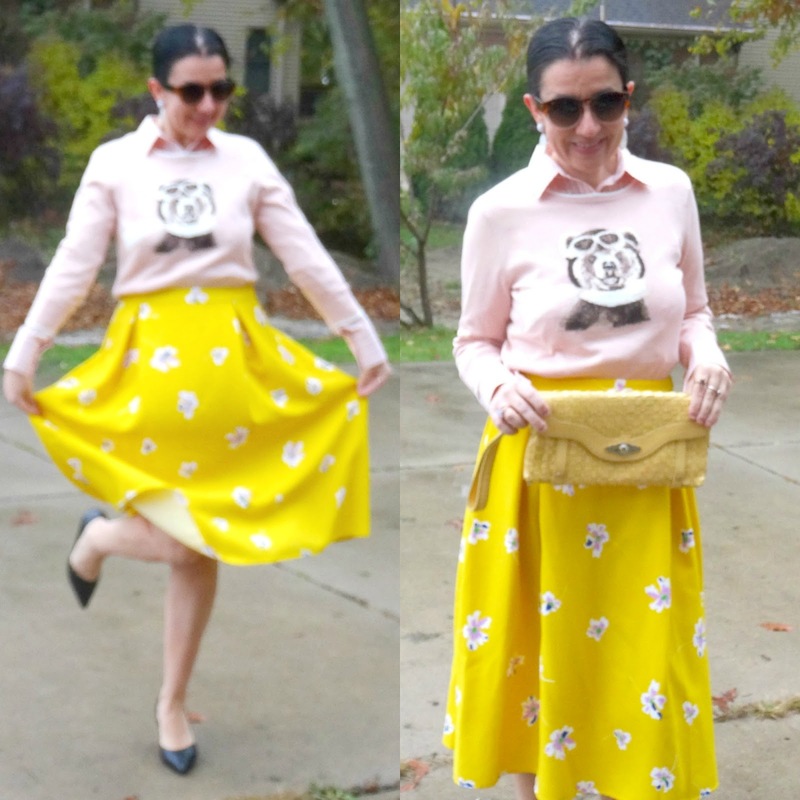 I love how this outfit turned out because 4 of the main pieces are either in mustard or blush pink. But I brought out the white scarf of the dog on the sweater with those White+Heather Grey Statement Earrings. 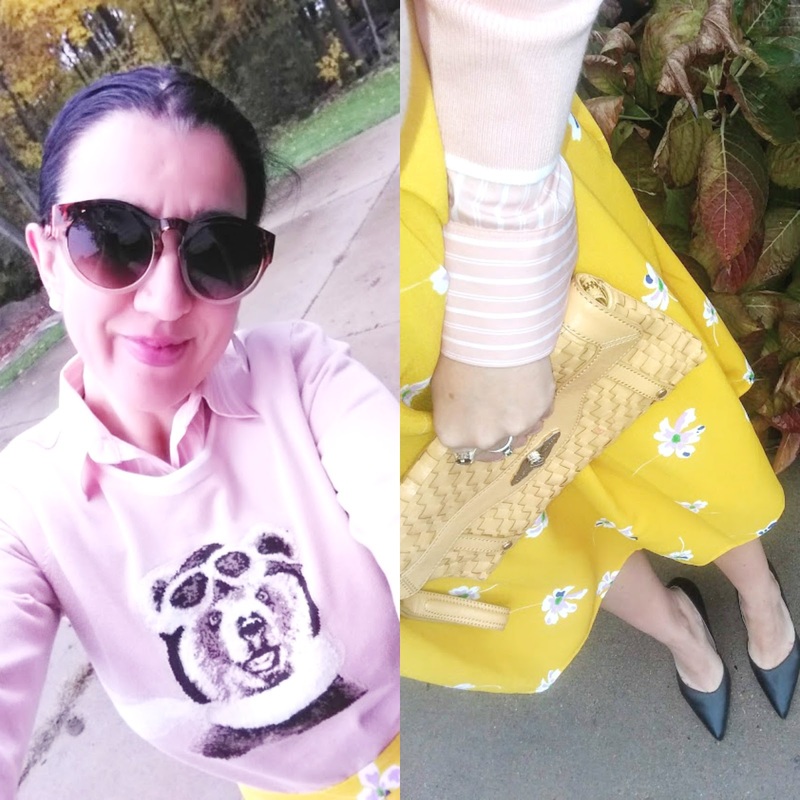 It ended up being a fun, colorful, put-together, elegant and feminine work outfit, don't you think? My friend Elsie went full on Fall Colors between that amazing large-scale print skirt and the cognac leather accessories she paired it with. I love her fun unique booties. Also, a floral print always looks great with stripes! I am so glad our linkup had at least 25 of you stylish ladies joining us, on its launch month. There were about 8 skirt outfits linked last month and I loved the beautiful skirt styled by that the stylish, classy and colorful Fonda. 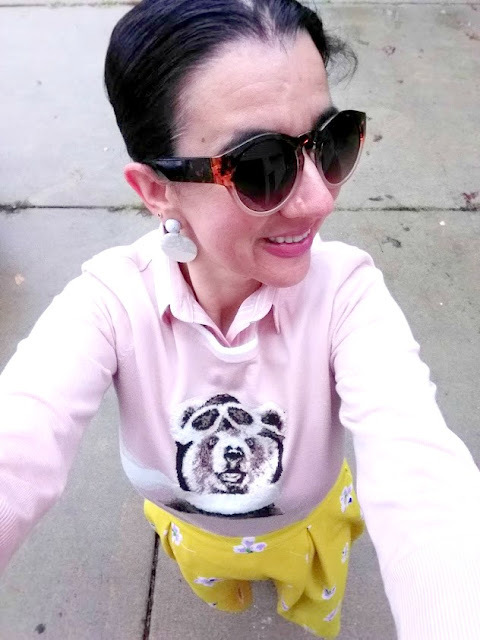 She is indeed 'Good at Print Mixing because that beautiful hot pink floral skirt looked great with a classic white+black dotted, ruffled, girly top and those stunning+vibrant 3D-bow gingham slides. Her outfit even "falls in theme" with our pattern-mixing Skirted Looks today. I actually happen to own that skirt from Loft and Fonda is inspiring me to style it with some black+white patterns, SOON! 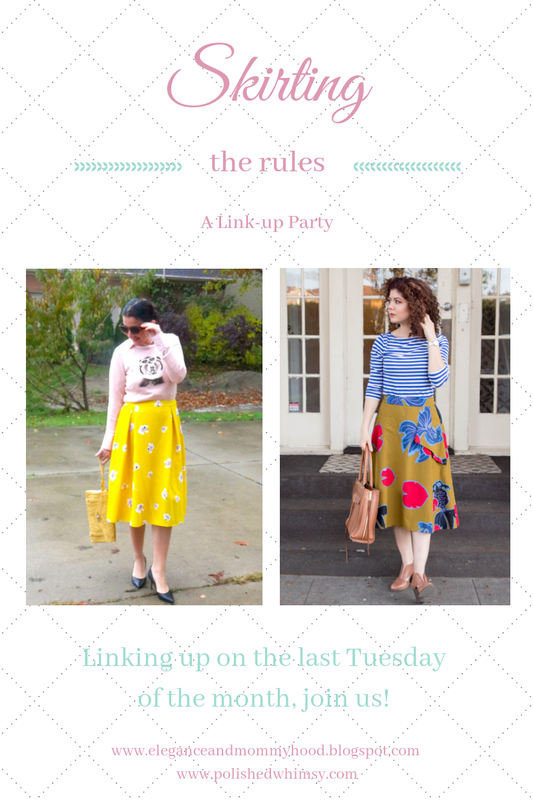 Now Join our 2nd, NEW and SUPER FUN "Skirting the Rules" Linkup. Isn't the graphic so fun and fabulous!? I love it!! 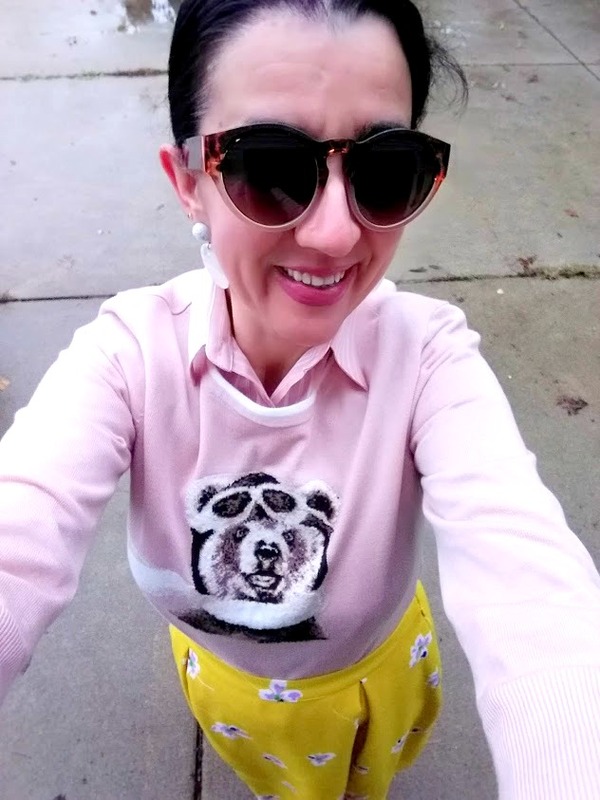 You can link up any outfits here, not just skirts, but Elsie and I will pick a couple of favorite skirt looks to feature each month! The linkup will be open for an entire month, for your convenience. 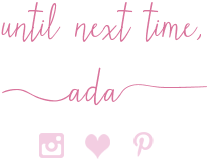 Have Fun, blog-hop around and meet some other fabulous fashionistas along the way!